An SEO audit is an excellent way to evaluate the behavior that a site has, mainly within search engines. An audit can also tell us the website’s performance in relation with the rest of the elements it is intended for. Anyone running a website would like to track and monitor its performance in order to calculate its reach. As for those who feel they may be facing a problem with a site, there would be clear answers after an SEO audit is carried out. SEO audit would not only be to check and correct bad situations, it also has a great positive part! With the right SEO auditor an online marketer will keep the website up-to-date with the latest developments in the World Wide Web – and even out of it! Nothing compares to the efficacy of an SEO auditor, it will check the website against a checklist and after a solid follow-up it will come up with recommendations of what needs to be fixed, changed or updated. Now, after those, it’s have been doted…. It all can be done with a good audit. All the technical analysis, the on- and off-page analysis and the keyword research and monitoring are the positive results a website marketer will receive from an audit. All the audits performed to a website are tailored for that website, but they all have in common the tools they use to work, and the results they show to the website marketers. An SEO crawler is one of the best things ever created for the best practice of a site. A crawler (or spider) will go around checking all the new features there are in the net or the malfunctions that can be affecting the SEO of your site. Once the crawl is ready, the analysis of that result will make you get a lot more efficacies in the process that a site runs. There is a necessary need of checking that only one version of the site is “browseable”. Only one of these should be accessible in a browser, this would prevent SEO to “get hurt”. Other versions of a site should be 301 redirected to the canonical version; an audit will make you see the problem and also solve it. Checking the home page’s Meta description is another important feature that audits are very helpful with. Meta description doesn’t necessarily influence rankings, but a well-written one can help get more clicks, and with most of them being convertible, there you go, score for SEO. As it is generally accepted that Google uses friendly rate checkers for ranking signal, Meta description, then can be widely used for this. It just needs to be well written and super enticing. There is such an important need for the content to be unique. This actually turns out to be a pivotal characteristic in the SEO process. Google hates duplicate content, and it has some tools to crash it all down when there is too much use of it. There are two cases you should be alarmed by, when content is duplicated within the same site, and even worse when it duplicates the content of other site. Everything that can harm SEO is a problem, but when you cannot see all of those details it is worse. 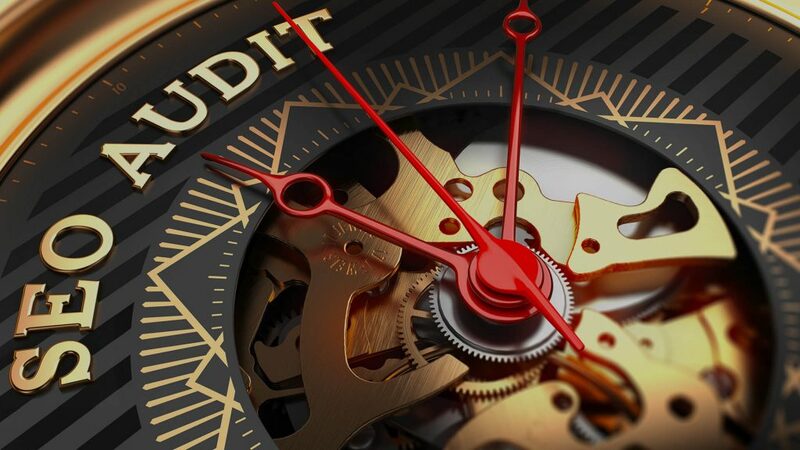 Audits have become the tools we can have as help to see what it may be difficult to notice at first sight. This is a great form of google to help the audits in SEO. Open-source elements that tell you all the needs you may or may not have in the boosting of your site. After such hard work on an important element in SEO, leaving them aside just after their creation is not the right thing to do. Keywords are broadly used and studied within an SEO audit. Setting rankings on how productive and efficient the growth of keywords is may sound pretty simple, but in fact is one of the most difficult things to do, yet it is also one of the most profitable areas of SEO and its audit. Many details compose the SEO audit, and being alone on this task is quite difficult. The optimization of a site is a never-ending task and all the help we can have with it is very valuable. Elements like the uniqueness of content, the tags and Meta description, and the URL qualities and headings, among others, are all parts of an audit that can actually help a site. Constant monitoring of these details would make SEO performance and audit totally worth it. SEO auditing is a crucial process for anyone with intentions of boosting a website. It would be difficult to do it alone as there are many factors involved. SEO audit has brought tools to make it easier for internet marketers to notice what is wrong and needs to be changed, and also the website’s need of improvement or update. No hesitation for the use of SEO audit should exist, with this you can make your website better and more visible to Google, leading it to more traffic and positive conversion.